If my memory serves me correctly, Cultured Code’s Things was one of the first 3rd-party apps I’d spent serious money on. I first came across the app when Shawn Blanc — my favorite source of app recommendations back then — wrote this extensive review of Things on his blog. I was new to the whole “GTD” concept, but there was something very peculiar and attractive about how Things looked and worked. I was instantly hooked. And so were several others, as the app became an instant hit with the masses. It has now been eight years since I discovered Things. 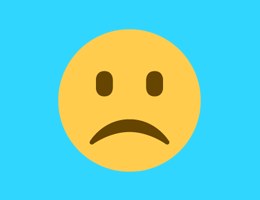 The app has gone through several major and minor versions since then — including Things 2 which was released in 2012. Things 2 brought along Things Cloud — the powerful & robust sync service that just worked and Mikhail had sung high praises about it. One of the core features of the entire Things suite — available for Mac, iPhone, iPad and Apple Watch — has been its delightful UX. No matter how big or small the screen-estate or the kind of tasks you’re looking to get done, Things always managed to delight you. Using the app was a lot of fun and at the same time, it kept you productive. Today marks the launch of Things 3 — a completely rebuilt suite of apps from the privately funded company based out of Stuttgart, Germany. I’ve been using and testing Things 3 for Mac and Things 3 for iPhone & Apple Watch for over a month now and this is, by far, the most refreshing and polished change I’ve seen an app update launch with. One quick glance at the new UI is all it takes to fall in love with it. The design team at Cultured Code have worked their magic all over the app, and every individual bit and pixel has been redesigned and crafted to perfection. I’ve been using Todoist for my tasks over the last few months and ever since I set my eyes on Things 3, everything else looks terrible in comparison. It doesn’t help that Todoist on Mac is still essentially a web-app inside a wrapper, and Things 3’s refreshing UI eviscerates it. 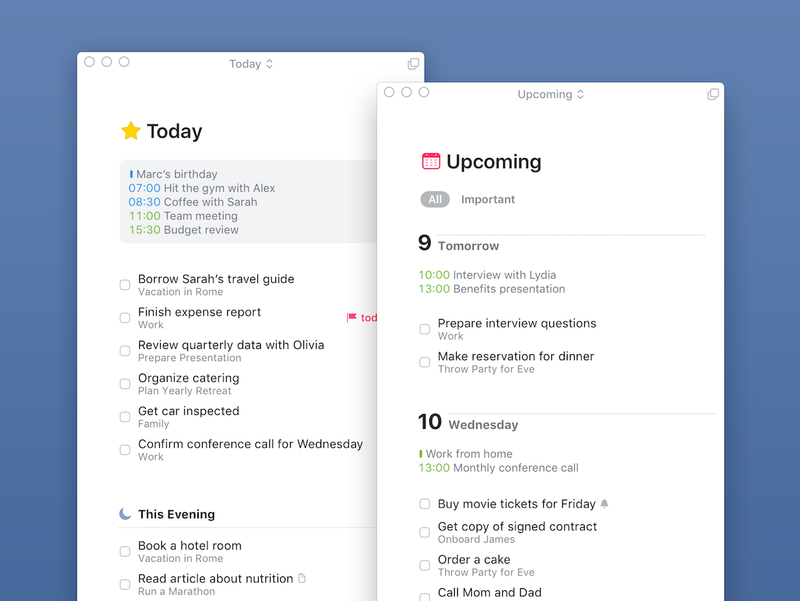 Things 3 is the most beautiful set of apps I’ve ever seen, and could very likely go on to win an Apple Design Award. Things 3 ships with some of the most delightful interactions I’ve seen in any app. They’re simply marvelous, and I’m going to fall short of words to describe how amazing they are by the end of this post. You’re treated with the same level of polish and finesse in both the Mac and iOS apps. Every view, every element, every animation, every transition is slick. I especially love the way the developers have crafted the ‘Magic Plus’ button on iOS. A simple tap on it lets you create a new To-Do, Project or Area. However, you can tap and drag the button anywhere on the screen to create a new To-Do at that line. If you’re in a project, you can drag the button to the left and create a new To-Do directly in the Inbox. If you’re a heavy user, Things 3 for Mac supports opening multiple windows with a different view in each. A tiny glyph at the top right of the main window will open that view in a separate window, and you can use the dropdown in the title bar to change the view to anything you want. As someone who uses multiple displays, this is immensely helpful. You can also resize or hide the sidebar completely. I love the Upcoming view in Things 3, as it lets me view what I should be ready for — including my Calendar events. You’ll be spending a majority of your time in either the Today view or the Upcoming view. 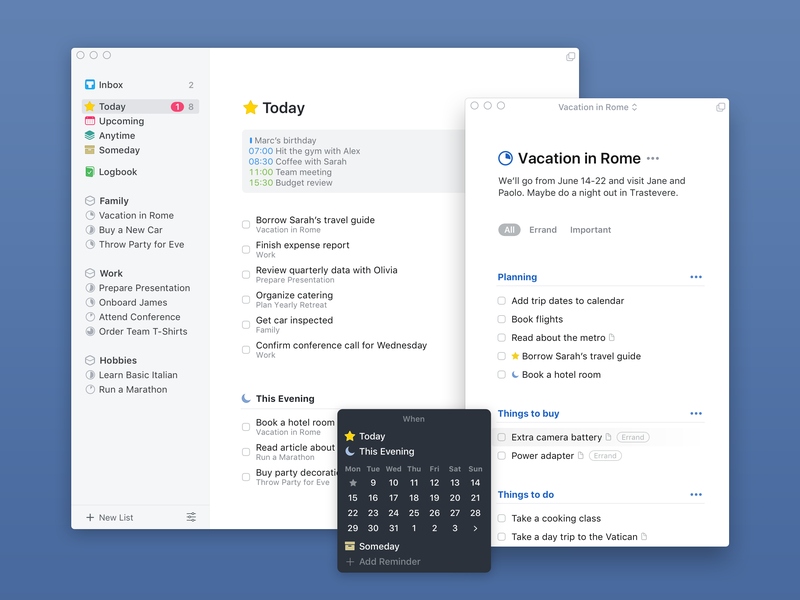 Things 3 is a remarkably big update from Cultured Code and there’s a lot of functionality offered by the app that has to be tried first-hand rather than reading about it. Chances are, you’re already accustomed to your current To-Do app, but Things 3 is so good, you owe it to yourself to at least give it a try. Believe it or not, this little thing in Things 3 is also one of my favorite features. 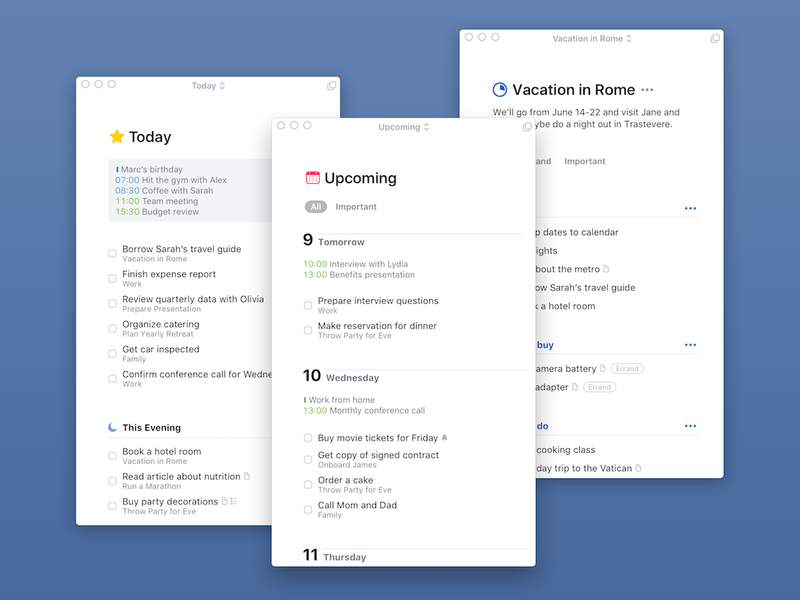 Things 3 supports headings, so you can visually separate your tasks under any view. This sounds like a minor thing, but goes a long way is staying focused and organized. — Things 3 for Mac is priced at $49.99 and is available via the Mac App Store. — Things 3 for iPhone and Apple Watch is priced at $9.99. 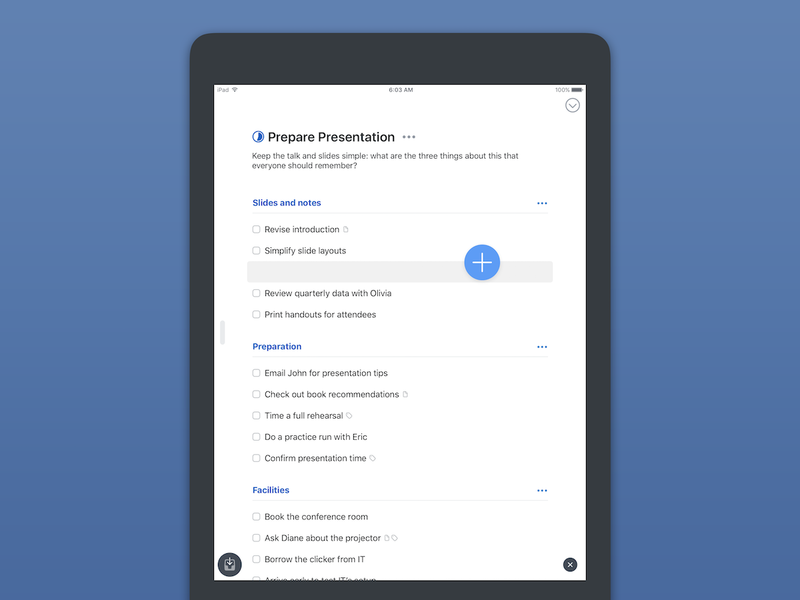 — Things 3 for iPad is a separate app and is priced at $19.99. The company is offering a 20% discount on the regular pricing mentioned above till May 25th, so make sure you grab the deal soon. If you’ve never tried Things before, there’s a Free 14-day trial of Things 3 for Mac available here. Of course, Things 3 isn’t perfect and I do have a small list of quibbles with it. For example, I sorely miss that the ‘Repeating To-Dos’ feature doesn’t have a keyboard shortcut on the Mac, so you have manually click on File > New Repeating To-Do every time you have to create one. It also lacks the powerful API and automation features that Todoist offers. That said, Things 3 is still a very powerful and feature-rich app for most users and the incredible UX it offers makes it a joy to use.